The guys at Travis' work are placing bets on how much our baby will weigh. I decided to do something similar with all of you. 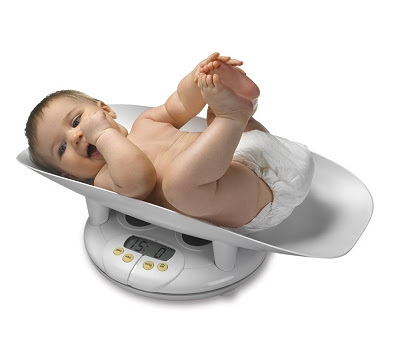 Whoever guesses our baby's weight will win a prize. I am not sure what the prize will be yet, but it will be a good one! If more than one person guesses the same weight and its the winning weight I will draw a winner. Last day to guess is my due date (Nov 10th) or the day the baby is born, whichever comes first. I guess 8 lbs 9 oz. Sorry I couldn't be there last night! I'll send you positive small baby vibes! i'm gonna say 8lbs. 15 oz cuz that's what spence was. i'm guessing...8 lbs 12 oz. I think that the baby is going to weigh 8 lbs 5 oz! Hmmmm. I say 8lbs. 4 oz. I think he'll be 8 lbs 7 oz. 9 lbs 2 oz. Sorry, but I think first babies are bigger! I'll go with 8 lbs 9oz the same as my first baby. julie can't have 8.9 i already guessed it!